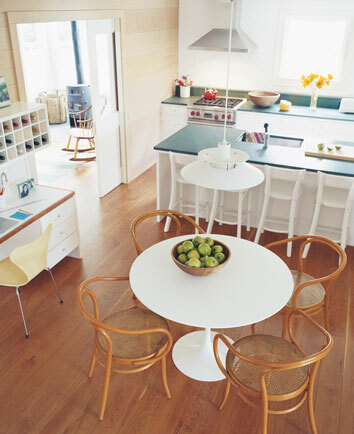 Domino’s Icons of Style #7: The Saarinen Table | Keep Domino Alive! 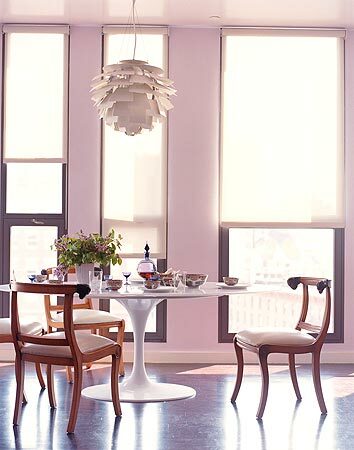 The Saarinen Tulip Table was introduced 50 years ago and is more popular today than ever. Its creator Eero Saarinen said that the underside of tables is a confusing, unrestful world. He created the pedestal collection to “clear up the slum of legs.” The pedestal tables come as coffee, dining, or side tables with tops in laminate, marble, granite, or wood. Domino was in love with the tulip table. They used them everywhere, because the simple elegance of this table works anywhere. In this stunning dining room-note the curvy chairs. In a living room with an eclectic mix. A wonderful dining room/library. Note the blue armchair in the corner. A front hall/library with floating bookcases. A wonderful light, soothing, and airy space. 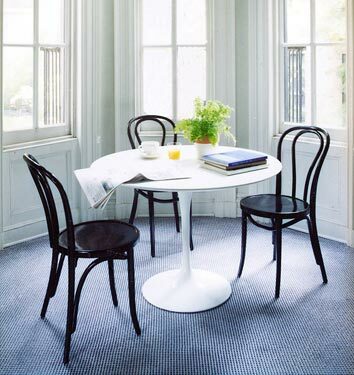 Great with rounded black chairs. In a living room next to a wing back chair-sort of English meets modern. This is Ikea’s knock off version in a reader’s chic dining room. 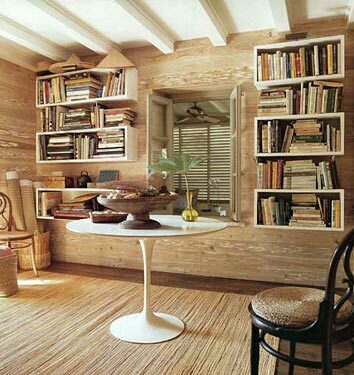 A very cool reader’s dining room/library. 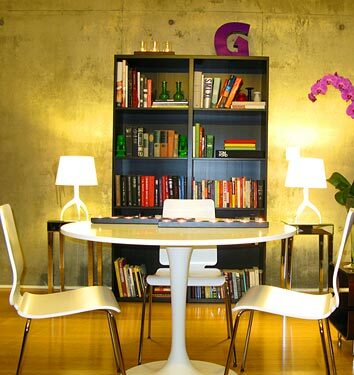 The Saarinen table looks great with all these pairings. I especially love the crown chair—so unique. Its nice to see the table paired with all sorts of styles besides midcentury modern. Rachel-I agree. I tried to show how it can be used with different styles and not just in the dining room. 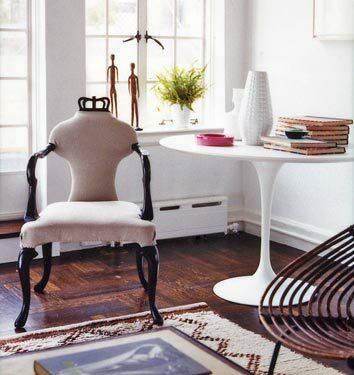 I love that Baker chair-of course it costs a fortune, but it is so wonderful! Hi! I submitted my living room around 10pm on March 17th and have not seen the room posted. I would greatly appreciate your looking into it. I didn’t receive the email, and the 17th was too late to enter. The deadline to enter was not extended, it’s just that voting has been delayed. I sent you my entry which was actually dated March 15th not the 17th…sorry for the typo! :) (you’ll see the original date and time as I re-forwarded the original entry earlier tonight).Sorry again for the mix-up in my post!Have a good night! Melissa…are you sending it to the correct email address? I still haven’t received anything, and I’ve checked my spam box to make sure. The email address must include the “mag” part of ilovedominomag, or it won’t get to me. I don’t know who had ilovedomino, but unfortunately, they don’t send things on to me! These look great — so where can I buy a knock off?